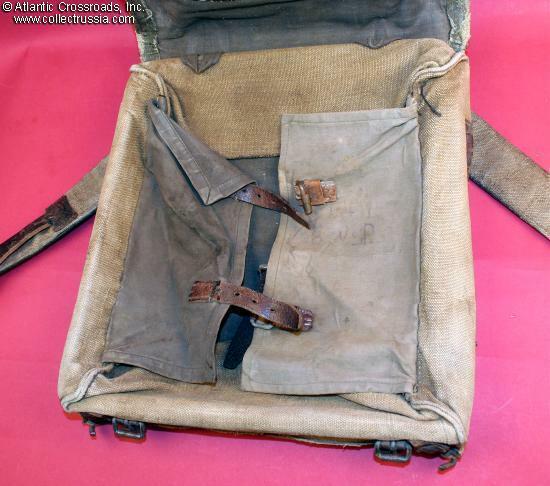 M 1936 military issue Knapsack with rigid frame, mid to late 1930s. 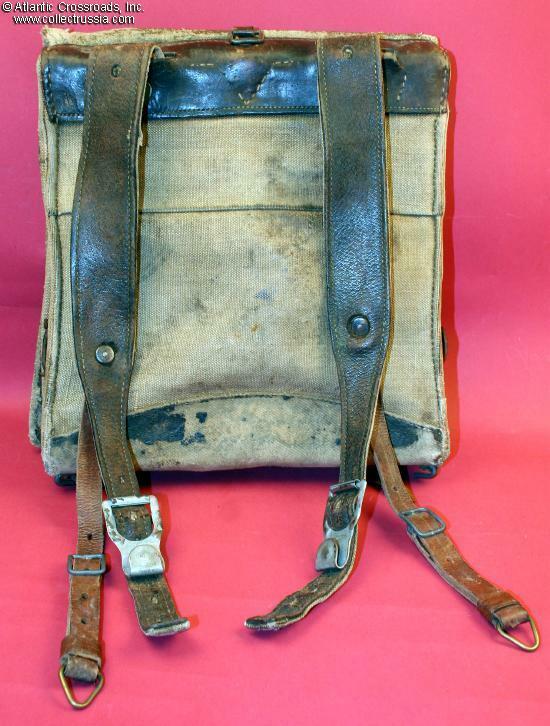 Khaki canvas with well worn brown pebble-grained oilcloth flap, brown leather slings and leather back reinforcements. The pack is roughly 12" by 14" size. 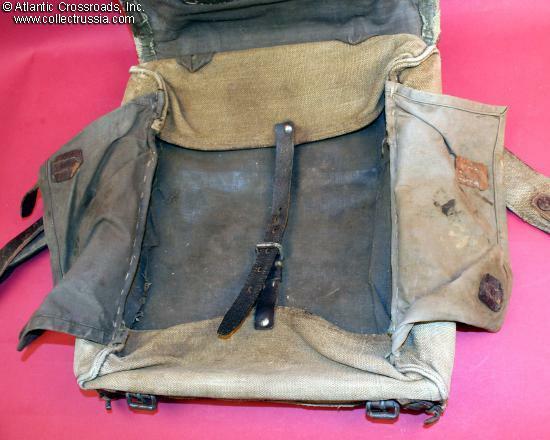 Design is very similar to German M 1895 knapsack. Missing the detachable side and top blanket belts. 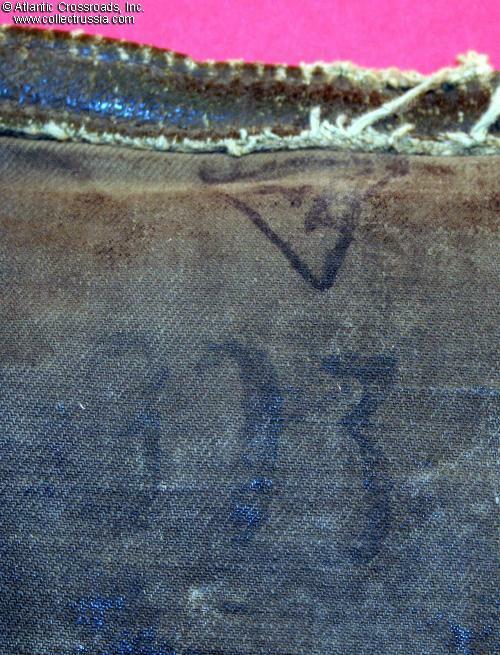 Shows various stamp marking on inside of flap. Very good condition, no tears or repairs. Heavy storage dust that may clean. While is would look good anywhere in a collection of Soviet era field gear, it would look particularly impressive displayed on a manikin. 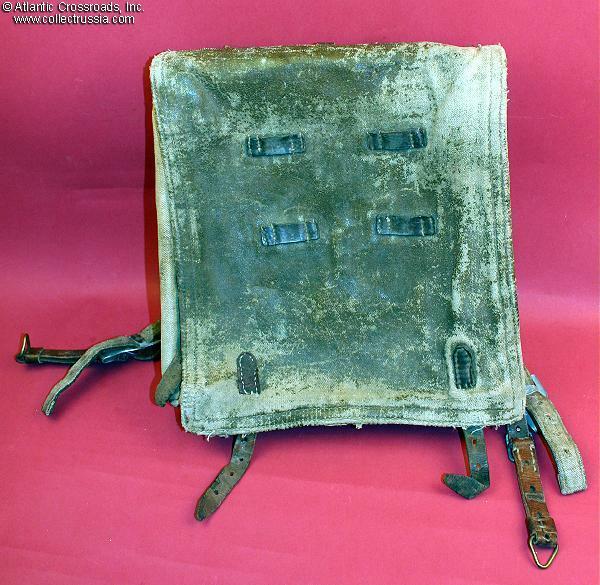 For more detailed information, refer to illustration #27 on pages 60-61 in Robert Fisch's 1989 book "Field Equipment of the Infantry, 1914-1945" . 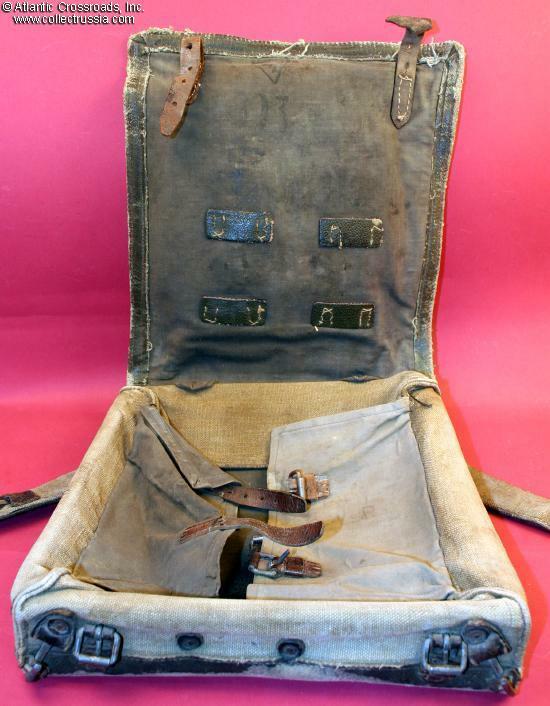 See also "Red Army Uniforms 1918 -1945 in Color Photographs", by Shalito et al.